Following our earlier posts Inexpensive Christmas Gifts for Coworkers Under $10, 5 Christmas Gift Ideas for Boss and other posts in Office Gifts Series, we’ve covered various gift ideas for co-workers. 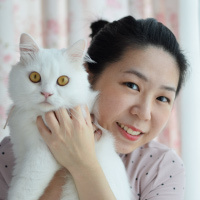 This post is about Christmas gift ideas specially selected for the women boss. Read on for Best Christmas Gift Ideas For Female Boss. Dream of beach vacation? 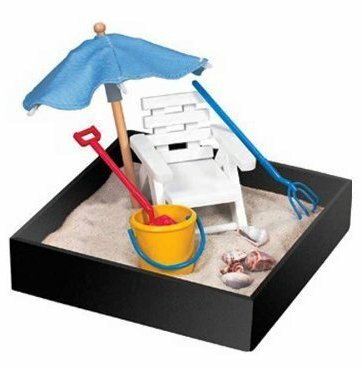 Let her escape to a tropical sunny beach with this cute sandbox. Fun and relaxing. Add more fun to work desk. Does she love pretty clothing and shoes? If yes, then you should get her this really cool red pump. A fabulous desktop tape dispenser. Looks cute and stylish. She’ll love it. 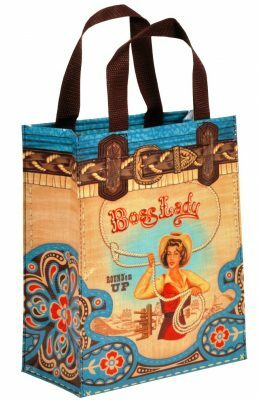 You can also get her this cute tote bag with a cowlady print on it. Made from 95% recycled material. Multi-use, light, water proof and durable. 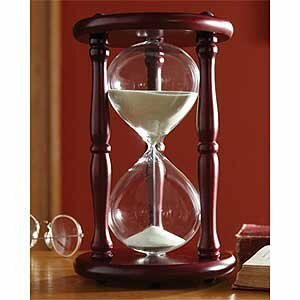 If you wanna get a more serious/ formal kind of gift, then this beautiful Hourglass Sand Timer is perfect. Made of hand blown glass in a cherry finish wood frame. Looks appealing and makes a nice decoration. 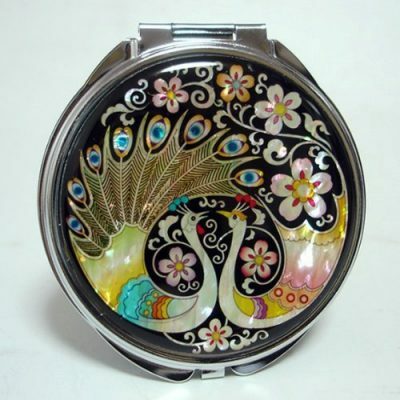 Gorgeous-looking compact cosmetic mirror. Exquisite mother of pearl design, beautiful craftsmanship. A lovely gift that she will appreciate.